The DIPPR database has become the industry standard for thermodynamic and transport property data. 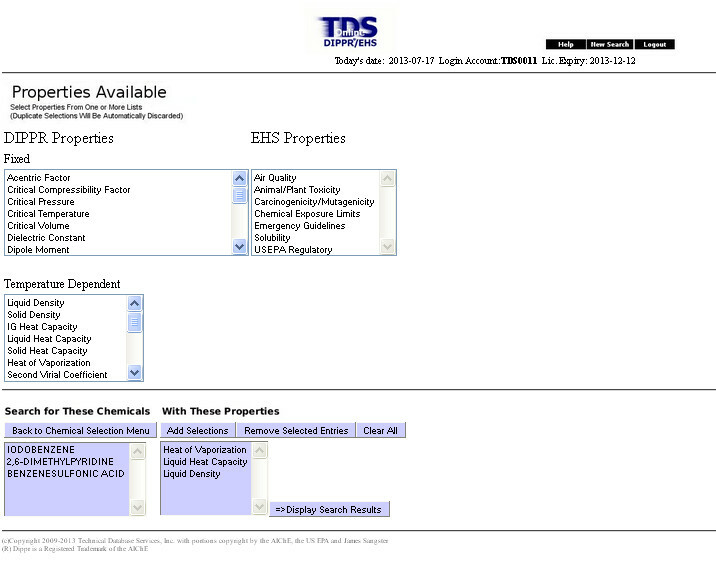 The most recent release of DIPPR/EHS contains over 40 constant and temperature-dependent properties for 2000 chemicals. With the TDS program you can create customized tables and plots of all the DIPPR variable properties and send them to a spreadsheet or to a word processor. 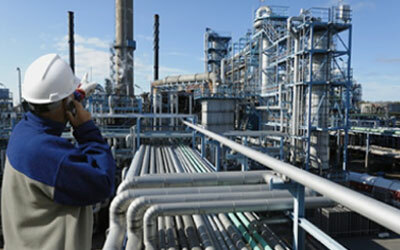 Valuable data from the USEPA including toxicity, air quality, regulatory and emergency response data are provided to inform users about the hazard potential of each DIPPR chemical. Access DIPPR data and EHS information rapidly with this MS-Windows based version of DIPPR/EHS, available on CD-ROM for installation on standalone PCs or on a network.Request a free DIPPR/EHS Demo from: info@tds-tds.comWhen requesting a DIPPR/EHS Demo please provide your name, company or organization, address, phone number, email address and interest. A thorough review of DIPPR/EHS can be completed in under 15 minutes.Please see the DIPPR/EHS 29.21 Factsheet for more information or view a chart of chemical properties and classes available in DIPPR/EHS and the DIPPR Datafiles. ® MS-Windows is a registered trademark of the Microsoft Corp.